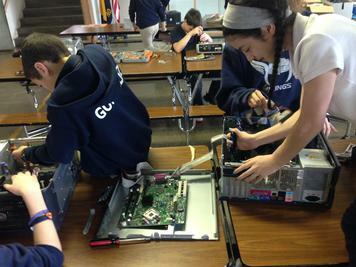 St. Matthew School's Technology and STEM program has been growing over the last few years. 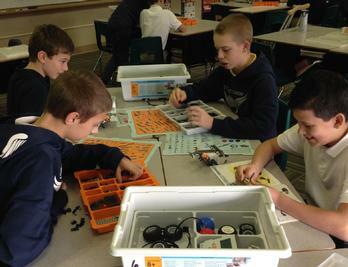 Students are introduced to NXT Lego Robotics as part of the 5th grade curriculum, and continue with applications involving mathematics, programming, and design through 8th grade. We have had FLL Lego Robotics teams that have participated in local competitions. 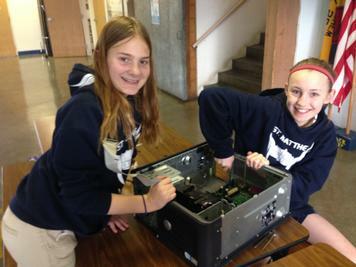 The technology program at St. Matthew School is another area that has steadily grown over the years. 3rd and 4th grade support a 2:1 iPad environment, while 5th grade is 1:1 with Chromebooks. Middle school students are 1:1 with personal Chromebooks, with teachers using Google Classroom as well as other applications to enhance student learning.